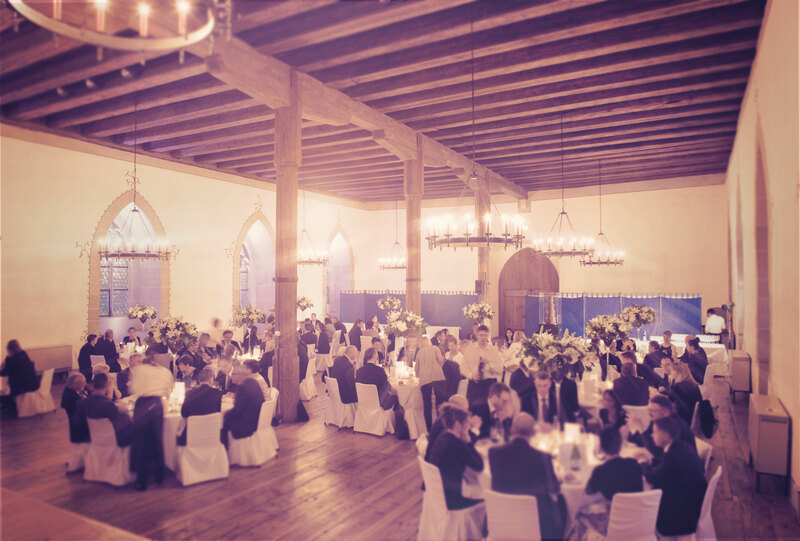 Lenzburg Castle features a variety of spectacular rooms, halls and outdoor areas to host Weddings, Public and Business Events for up to 500 guests. 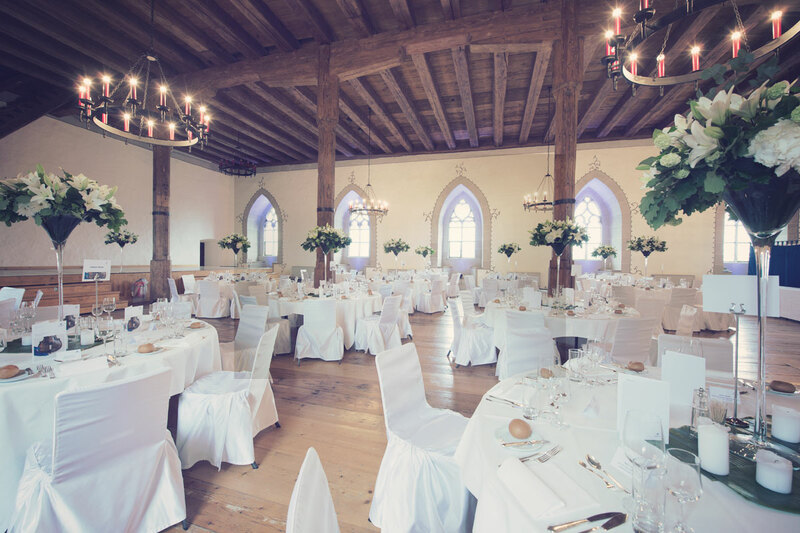 The Knight’s Hall was built in the 14th century and features two Great Halls. Banquets, anniversaries and seminars seat from 30 to 250 guests and public events such as concerts and lectures can host up to 500 people. Many different set ups are possible and we are happy to help you choose the right settings for the event you are about to plan. Our tables and chairs come in different styles and sizes. 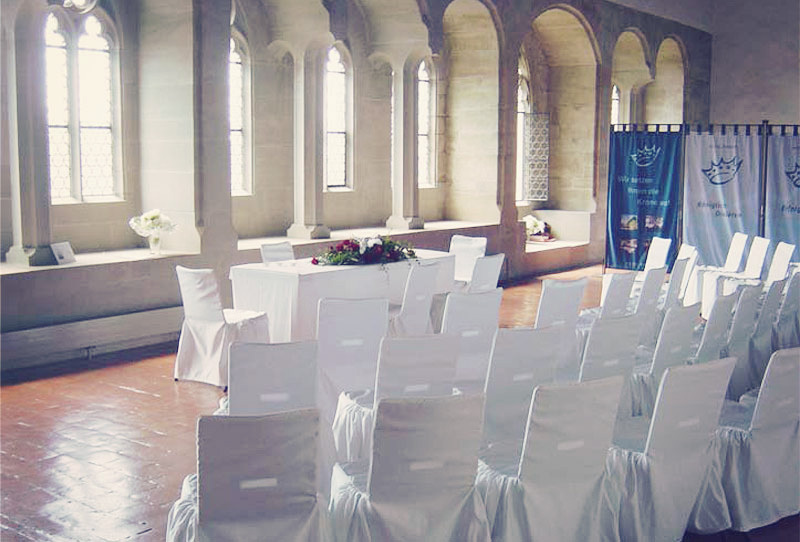 We offer many different seating options, giving you the opportunity to choose your preferred set up. Whether you want to feast on a long table or dine at smaller, more intimate round tables is up to you. Please take a look at our Venue Options Brochure for more information on seating and staging options or contact us to learn more about the different set ups we offer. Our diverse outdoor areas invite to linger and relax. The southern rampart with beautiful Linden trees and great views features direct access to the Great Hall. Chat and mingle in the courtyard, enjoy some fresh air in the romantic baroque gardens and just simply enjoy the view while nipping on an aperitif.